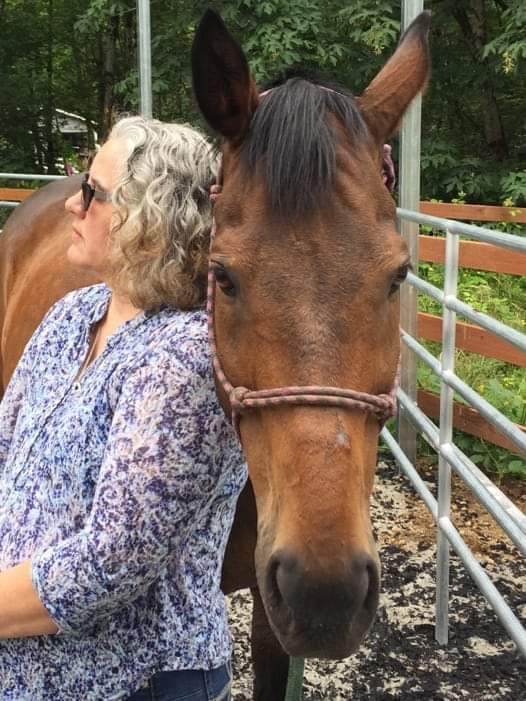 Teddy is a former race horse and my very first horse. For the two of us it was love at first sight, we recognized the trauma each other had experienced. He was the one who taught me how to be fully present in my body, how to have healthy boundaries without anger, how to be the leader I needed to be to save his life which turned out to be the leader I needed to be to save my own. He is a huge hearted, love filled Being with a passion for helping people heal from past trauma and abuse. I’ve literally watched him shed a tear while working with clients. Teddy is brilliant at teaching healthy boundaries without anger as well as helping clients release pain and trauma from their bodies. Calvin arrived into our herd with a major attitude problem, you see he’d never been listened to or honored as the truly sensitive soul that he is. When he first arrived he had ZERO interest in the work Teddy and I were doing. After watching for a few months he decided that he did in fact have things to share with clients to help them heal. He’s now an incredible healing partner and teacher! Calvin has a special knack working with couples, whether it’s a husband and wife, Father and their Daughter, Mother and Son or any other combination of he is a rock star at helping them learn how to communicate more clearly and effectively! Hank is fun, funny, brave, kind and compassionate. He’s the newest member of the herd. As with his older siblings Hank is a rescue, he had serious trust issues when he arrived from things that happened to him in his in the past. I believe the reason he’s so great at helping people tap into their inner Warrior by helping them understand how truly powerful they are is because of his past. Even though Hank had a rough start to life that hasn’t effected his loving inquisitive nature one bit.